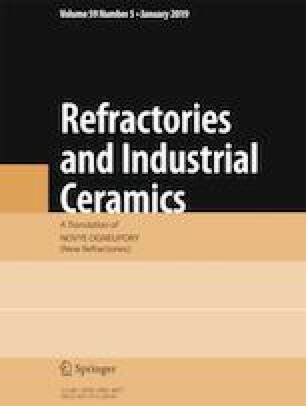 Experience of using refractory materials based on chrome-oxide in electric glass-melting furnaces for fiberglass production is described. Prospects are noted for using chromium oxide refractories from the point of view of both the service reliability and the furnace campaign duration. Translated from Novye Ogneupory, No. 10, pp. 54 – 57, October, 2018.